The American College of Bankruptcy announced today that J. David Blaylock will be inducted as a Fellow of the College on March 18, 2011 in Washington, D.C. The ceremony will take place at the U.S. Supreme Court in the Great Hall, and will be presided over by Paul M. Singer, Chair of the College. Mr. Blaylock is one of 40 nominees from the United States and abroad being inducted in the Twenty-Second Class (2011) of College Fellows. All are being honored and recognized for their professional excellence and exceptional contributions to the fields of bankruptcy and insolvency. The American College of Bankruptcy is an honorary professional and educational association of bankruptcy and insolvency professionals. The College plays an important role in sustaining professional excellence. College Fellows include commercial and consumer bankruptcy attorneys, insolvency accountants, turnaround and workout specialists, law professors, judges, government officials and others involved in the bankruptcy and insolvency community. Nominees are extended an invitation to join based on a record of achievement reflecting the highest standards of professionalism. The College now has 758 Fellows, each selected by a Board of Regents from among recommendations of the Circuit Admissions Council in each federal judicial circuit and specially appointed Committees for Judicial and Foreign Fellows. Mr. Blaylock concentrates his practice in the areas of creditors’ rights, bankruptcy, and insolvency, secured creditor representation and general commercial law. 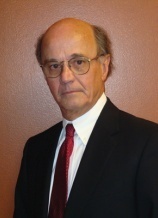 He has participated as a speaker in numerous seminars relating to bankruptcy and commercial law, and has been named one of The Best Lawyers in America (bankruptcy and creditor-debtor rights), “Best 101 Lawyers in Tennessee” (BusinessTN) and a Mid South SuperLawyer. For more information about the American College of Bankruptcy, or about the 2011 Induction Ceremony, contact Shari A. Bedker, Executive Director at 703-934-6154 or fax at 703-802-0207 and email at sbedker@amercol.org.